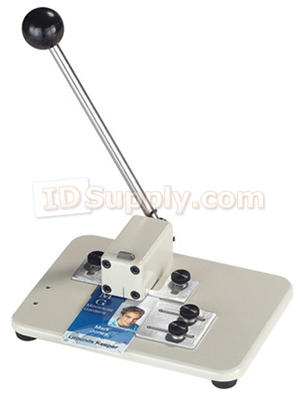 Our Medium Duty Table Top Slot Punch features an adjustable depth guide and an adjustable bottom guide. Punches material up to .060 thick. Shaft drive action (both directions) All metal construction. Slot Size is: 1/8" x 9/16". Hardened Die and punch for many trouble free years of service. Slot Size is: 1/8" x 9/16"
Punches material up to .060 thick. Adjustable Depth: Up to 1-1/8". Rubber feet stabilize the slot punch on any surface.